With the Internet having so much information, many people think it is easy to research their problems and find online tools to help them. What I have found over the years is that when people do this, they tend to work in isolation with no objective person to hear them and make sure they use the tools they found. This is why it is so important to have a therapist help you in your process of self-improvement. So if you feel overwhelmed or unfulfilled, your online search has brought you to the right place. I can help you with emotional issues such as self-esteem, depression, anxiety, anger, and stress. I also help you with other areas of your life that become affected by these issues such as relationships, communication, parenting, work or your education. I am comfortable and have experience working with people of all faiths and cultures as well as being an LGBTQQIA (also known as "sexual minority") affirming therapist. My counseling style includes Cognitive-Behavioral Therapy (CBT) and mindfulness to help people make the connection between their thoughts, feelings, and behaviors. CBT involves learning about the issues like depression or self-esteem and completing exercises to learn your current mindset and how to change it. Mindfulness is related and is about being aware of yourself and living in the present moment as well as being focused on positive goals. Using these two strategies helps you to stay focused and adds accountability to prevent you from slipping back into old habits. Clients leave sessions with clarity on who they are, what they want, and how to get it, stress-free. My purpose is to help you stop surviving and start living! Still not sure if this is right for you? Take a look at the testimonials below to see what others have said about our work together. I have almost 20 years of experience in social work as a therapist, researcher, teacher, and trainer. I have worked in a variety of settings including inpatient treatment, outpatient treatment, K-12 public schools, as well as colleges and universities. I currently work full time as a therapist in a university. I also founded The SWEET Network, LLC (Supporting Women to Empower and Enhance Themselves): a counseling service that provides individual counseling, networking opportunities, and self-help tools. My goal is to provide you with simple tools to apply to everyday life. She really helps me figure out strategies to overcome the obstacles I gave in my life. She compares me to other people’s scenarios and give me options that would be beneficial to my needs. I would 100% recommend her to a friend. Fanteema is a fantastic counselor! A friend of mine suggested BetterHelp when I was at my toughest time in 2018, and being matched with her is the best thing that happened to me! She is so understanding, patient, sweet, and so funny too. She uncovered so many things about me that I didn't even realize. She is an outstanding and professional counselor and I am extremely lucky to have been connected with her. Fanteema has been a major help for me when i was in Crisis. She guided me very efficiently and helped me resolve our problems in a mature and fun way. I am so glad to have met her. Thank you Fanteema. Ms. Watson is very kind and passionate about what she does. She replies in a very timely manner and always addresses my questions and concerns. She is kind and caring and listens. Really understands you. This has been a great help to me. I have been working with Fanteema for several months now and she has been nothing but a joy to work with. She listens to what I have to say and provides insight that I had never thought about before. Through her, I am gaining a more positive insight about myself and gaining more confidence. I highly reccomend her to anyone looking for a great support system! I find Mrs. Barnes-Watson to be very knowledgeable about what my needs and issues are. She helps me understand what and why I do things which hopefully helps me modify the behavior. Fanteema is a caring person who understands how to level with people about their concerns. Very knowledgeable in her field and I like how she always responds in a timely manner. It's only been a few weeks but she has helped me get to the bottom of my low self esteem and ways to cope with my depression. Highly recommended! I have really enjoyed working with Fanteema. She constantly offers new ways for me to overcome my own struggles and is always there when I need her. She has been an unbiased support system in a time that was a little dark for me. I appreciate everything she has done to help. A very kind and understanding person who is supportive. Fanteema really helped me through a rough time that I was having regarding an ugly mix of anxiety and school stress. She is very easy to talk to, asks great questions, and really helps you to address your problems in an approachable way. I was skeptical about online therapy but I believe now that it is possible to make progress. Fanteema has already started to help me think about things differently in a very short period of time. She's been very professional but also friendly and down to earth. She always addresses my issues no matter how many I bring up in one session! Fanteema is extremely patient and understanding. I feel heard by her (even though this is completely based on typing to one another) and she gives great advice. I feel like Fanteema also knows the right questions to ask and is very encouraging to me in her responses to my thoughts. Very helpful, friendly, and understanding. I definitely recommend Fanteema! Very understanding and very helpful. Gave me great resources for my area for my situation. I would recommend to anyone. She is good. She gives prompt responses. She does not simplify or marginalize your concerns. Her approach is practical and structured. Fanteema is a great counselor. She never pressured me to share anything that I didn't want to and gave me realistic suggestions along with helpful resources such as articles. She's really a great help. She's a life saver. Very professional and to the point of getting to the root of your depression. Fanteema makes me feel like a long lost friend, that I am glad to have back. I am looking forward to her messages, and she helped me a lot in this short time! Glad she was recommended to me! Fanteema has been extremely helpful in my endeavor to overcome depression and anxiety issues. I highly recommend her! Fanteema has been an angel. She provides great support and information for me. She is truly helping me get through this tough time. She's great, checks in, always tries to help me with exercises, and always responds no matter what time I message her! She has helped me to see aspects of myself which could use some working on, but most importantly, has helped reassure me that everything will be okay. That I am not as flawed and damaged as I thought I was, and has served as a major source of support when it comes to making life decisions. She has helped me reason through things, take calculated steps to ensure I'm moving in the right direction, and provided the encouragement I didn't even know I so desperately needed. She's amazing! She is great at helping me see any situation objectively and I really like the exercises that she provides to help adjust my negative thinking. Fanteema has been great so far...really listening to my needs and providing resources and activities that have really helped me address some core issues. Fanteema is very helpful and encouraging. She has high empathy and capable in knowing our problems very well. 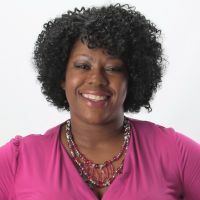 Would you like to write a review for Fanteema Barnes-Watson? We'd appreciate if you can spend a couple of minutes to write a short review for Fanteema Barnes-Watson (LCSW). This review would be shared with Fanteema Barnes-Watson. It may also be posted in our website or in Fanteema Barnes-Watson's profile but it would be anonymous and your identity would be kept completely confidential.